The Stafford Hut was a series of last-minute decisions, a series of surprises. And it was completely different from the alpine huts that have stolen my heart in these last months. 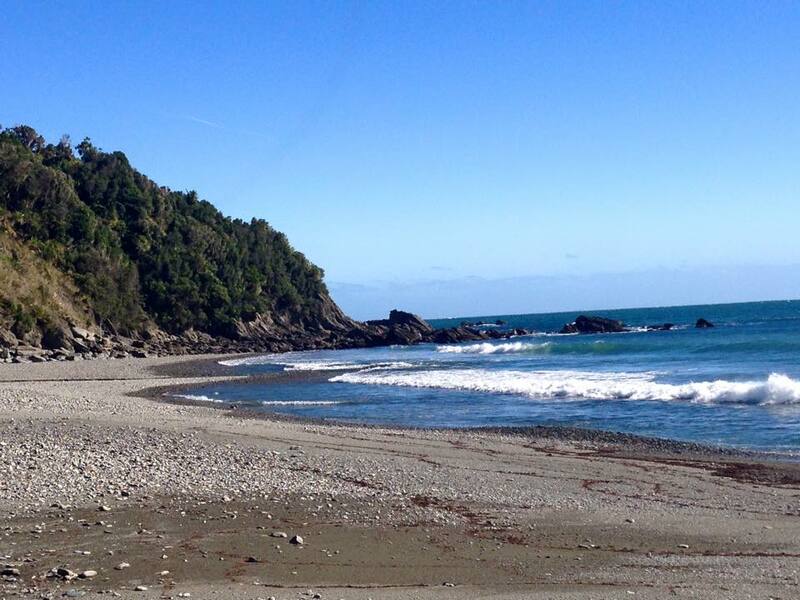 All of these add up to earn this little seaside shack a slot in my top five New Zealand huts. Stu and I had planned to hike the Copland track, a 6-hour walk to the Welcome Flats hut with hot springs outside its door. But the weather had other ideas, and with 80 millimeters of rain predicted and a potentially swollen river crossing at the start of the track, DOC announced they would likely close it. We were out of luck. Plan B. We decided we’d brave the rain and hike an easy hour into a different hut that didn’t require a river crossing. As we crested Haast Pass and the notoriously rainy west coast came into view, we noted the clouds menacingly piled up to the north in the direction of our intentions. To the south, blue skies and sunshine. Plan C was born. We turned left instead and drove to the end of the west coast road to tiny, quiet Jackson Bay, a little fishing town straight out of the 1950s. With a smattering of houses, one restaurant famous to the few locals for its fish and chips, and more fishing boats dotting the tiny harbor than town residents, Jackson Bay is also home to the trailhead for one of DOC’s newest huts. We arrived in town at 3:00 in the afternoon, with 3 hours before sunset. We saw a DOC officer cleaning the one picnic area, and asked a few questions about the hut. Stu: “How long is the hike in? 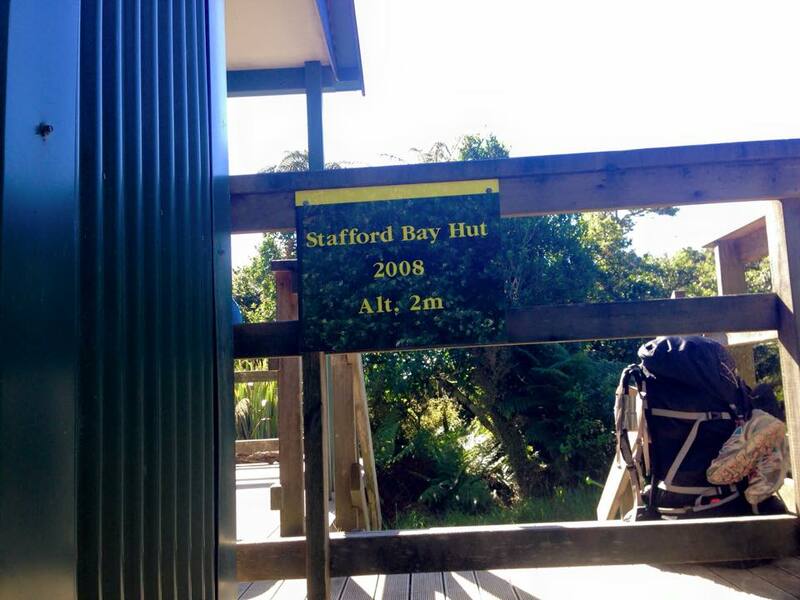 The DOC officer had clearly never actually hiked to the Stafford Hut. We started off optimistic. I dutifully kept my shoes dry and clean from the frequent patches of ankle deep mud in the first couple of kilometers, to the point of getting creative with rootwads and off-track balancing moves. We took off our shoes at the first river crossing to keep them dry (which was ankle deep, for the record, not waist deep). At the second crossing, we gave up and charged through the river with our shoes on. Same with the third and fourth crossings. Then we just walked IN the river for a while until we saw the next track marker. Then we hit the pass. Steep and muddy on the way up, our alpine-acclimated bodies were instantly covered in sweat in this west coast rainforest. Slippery and muddy on the way down, I congratulated myself for not taking any tumbles. Mostly. On the other side of the pass, the track didn’t cross the creek. The track WAS the creek. Moss-covered boulder hopping, tree scaling, mud jumping, steps down baby waterfalls into thigh-deep pools; I was proud of myself that I only fell three times. Until I realized that Stu stayed upright the entire time. Damn him. We finally gave in to the darkening sunset at 6:15 and pulled out our headlamps. Moments later, we stumbled on the hut. The 6-bunk Stafford Hut, elevation 2 meters, is perched on the banks of the Stafford River as it flows into the Tasman Sea, with a deck that peeks through the bush to the ocean. We opened the door to find it well-stocked with dishes, empty whiskey bottles on windowsills, and other treasures left behind by hunters who are the most frequent visitors. The woodstove was clean, with an abundance of split wood at the ready. We opened the window to hear the waves. We had it to ourselves. We walked out to the beach in the last light and let the surf wash the mud from our toes. We were home for the night, on our own private set for a surf video minus the film crew. The next morning, we woke late and drank endless cups of coffee to the background music of the ocean until the sun warmed the sand. I walked the long length of the beach that we called ours that day, not a single soul in sight to tell me otherwise. We would have stayed there for days had the threat of heavy rain not driven us out. In New Zealand, water rises fast. When your track takes you through running water, you don’t challenge a storm. 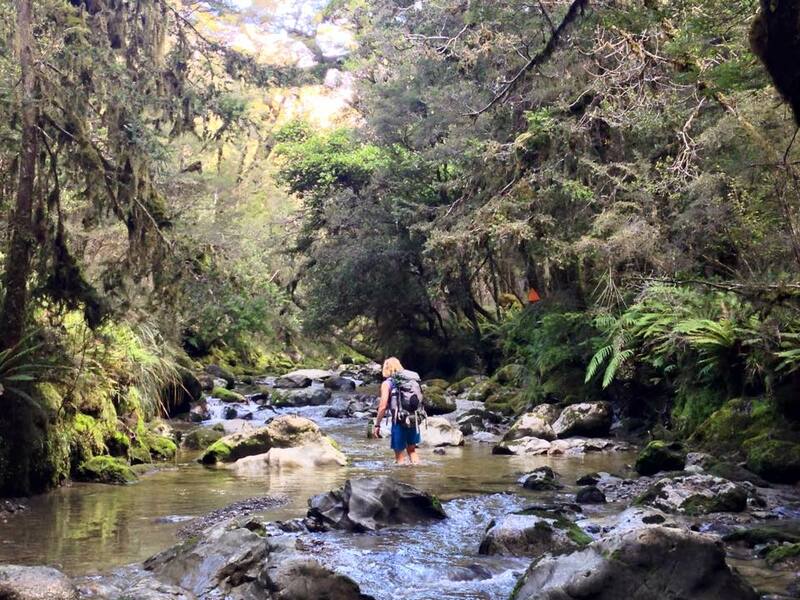 We sadly packed our things in the afternoon and walked back up the creek. 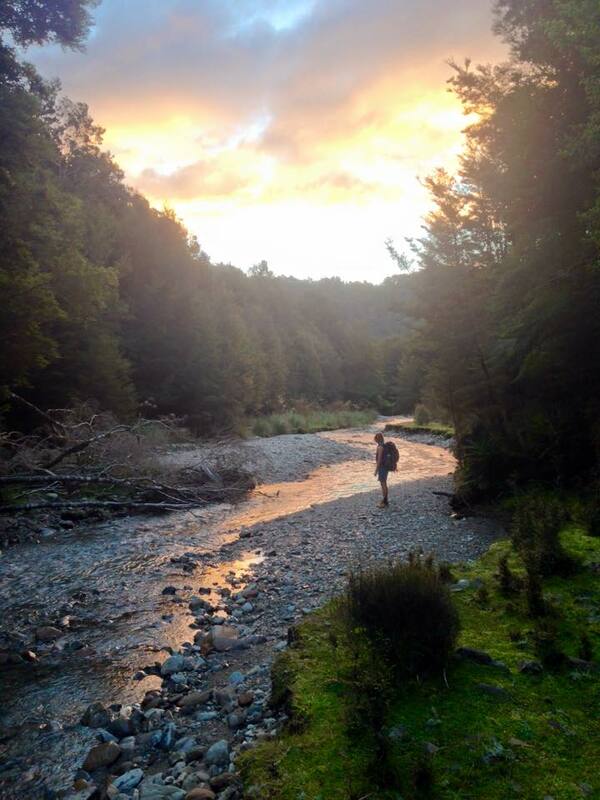 Or started to, until I second-guessed the trail marker and led us on a wrong turn up the river for a few kilometers. Nothing like a couple hours of unnecessary riverbed walking to make your hiking partner really appreciate your backcountry skills… The moral of the story: when in doubt, always let the navigation instructor lead.